Yesterday we began our look at CMS systems for web design with WordPress; today we’re going to look at an altogether different beast – Drupal. There’s no doubt that WordPress is simple and easy to use but when it comes to handling sites that are going to be huge – it struggles a bit. WordPress is also not the best e-commerce solution out there. Drupal’s biggest fans tend to be developers rather than designers. It is a massively flexible tool and rather more powerful than WordPress. The out of the box download is fine for creating a basic Drupal based site but the real advantages of Drupal can be found in the nearly 30,000 add-ons that are available from other developers. Drupal is an open source project but many of the add-ons are premium products and you should be aware that Drupal installs are often significantly more expensive than WordPress plug-ins. There is a belief in the design community that the learning curve for Drupal is beyond silly. It’s probably fair to say that there’s some truth in this. Drupal has improved over the years but it’s certainly tougher to master than WordPress. This isn’t a complete disadvantage –it deters a lot of designers from getting involved in Drupal projects and Drupal skills command a greater premium than WordPress skills because of this. Drupal’s other big issue is that with each major release – all the add-ons need updating too and they may not immediately be available with a new release. Migrating from release to release needs much more care and attention than a WordPress migration and you will have to educate your clients to ensure they understand the timeframes for viable migration. Drupal is simply the most flexible of the big name CMS packages. It excels at handling huge volumes of data and is a much better e-commerce solution than WordPress. It handles big store projects in a much more natural way and you’ll find it’s generally more secure and stable than WordPress. The advantages of having fewer installations and from having a developer community which is perhaps at a higher level of skill than the WordPress developer community (though there are always exceptions). Designers also don’t have as much to learn as they might think. Drupal development may be rather more involved than WordPress development but as long as you can master PHP – you’re ready to amend Drupal themes and build beautiful custom designs. There are fewer template themes available for Drupal but there are more than enough templates for you find something you like and then build on it. 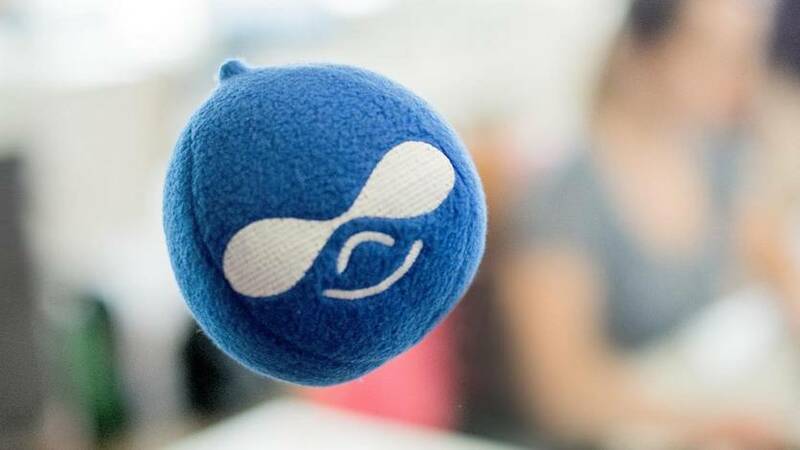 Drupal has been around for a while now and there’s no sign of it going away. It will remain the choice of big websites and large corporate clients. Whether that’s enough for you to handle the additional learning required is a case of personal preference and no down to any limitations of the platform.